You are currently browsing the The Pet Product Guru blog archives for the day Monday, March 5th, 2018. When a dog’s prostate becomes enlarged, it becomes a target for cysts and infections. 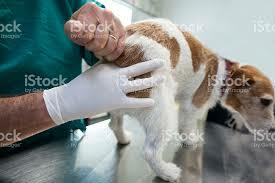 You can tell whether or not your dog has a problem with his prostate. He will strain to urinate or he could have blood in his urine. If his case is severe, he could become very ill or even collapse. Prostate disease is most common in non neutered dogs. Even so, all male dogs should be examined annually for prostate disease especially if the dog is a little older. Your vet will determine whether the prostate is the appropriate size and in the right position and whether it’s irregular or smooth. If your vet finds any abnormalities, pet medication, surgery or neutering may be recommended to correct the problem. Start you day off with some great music! How about four decades starting with the 50s and ending with the 80’s plus great popular standards! Turn on your oldies with Edgewater Gold Radio, download the Edgewater Gold Radio app, listen to Edgewater Gold Radio on the Tunein App or listen on our website: edgewatergoldradio.com.